Romantic comedies: a unique genre of movies simultaneously derided and adored by people across the country. Most importantly, they are perhaps my favorite guilty pleasure of all time. Honestly, nothing compares to my love of romantic comedies; carb-filled foods, shocking tabloids, and long massages can all step aside when it comes to romantic comedies. 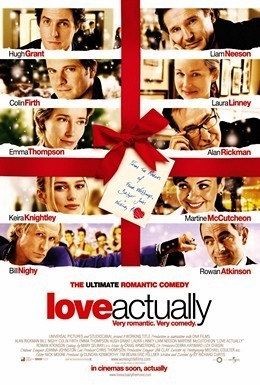 Not only do I adore romantic comedies, I’ve surely watched most romantic comedies from 2000 onwards by this point. Of course, my love for this genre is not unique (if it were there wouldn’t be a million-dollar industry behind it), but there’s a reason for that. Romantic comedies are an idealist’s dream, and that’s what makes this guilty pleasure all the more special. Romantic comedies are an ideal love story in an ideal world. The best ones follow a special formula: An independent, intelligent, beautiful woman with a job in the city meets a handsome, seemingly caddish but actually sweet guy. They don’t get along at first but somehow end up together against all odds. Sprinkle in an excellent soundtrack and this movie’s bound to be a hit. It’s dynamite for the typical idealist (i.e. most Harvard students). We dream of big things like an ideal government or ideal international relations, so why not aspire to have an ideal love life as well? Most relationships won’t follow this almost impossible pattern, but at least romcoms remind us to set the bar high when we search for love. More importantly, however, the romantic comedy is so special because it’s nothing new. Consider “Pride and Prejudice:” It’s a book, of course, but it set the standard by which to judge romantic comedies. Full of ridiculous side characters and wonderful dialogue between Elizabeth and Darcy, it manages to be amusing and romantic but is also rife with social criticism. Romantic comedies today are capable of doing the same thing, poking fun at dating in the modern world and the perceptions of femininity and manhood. “27 Dresses” would be nothing without its interesting take on the marriage industry, and “Love Actually” does the same for Christmas, friendship, and even cross-cultural relations. There are plenty of ways to critique the world’s problems, but romantic comedies do so in a light way and add a good story as well. Romantic comedies have more substance than people give them credit for. They provide a sort of cute standard for people to aspire toward; some social criticism; and in my case, unrealistic romantic expectations. Most importantly, though, they’re just fun to watch on a rainy afternoon! What makes romantic love worthwhile is its inexplicability. Love is not rational, and so it cannot be reduced to the bloodless equations of utility maximization. In the realm of romance, Homo Economicus—the author, not the concept—will freely admit that he is a sucker. What should be seen as unacceptable behavior is instead described as manly and attractive.